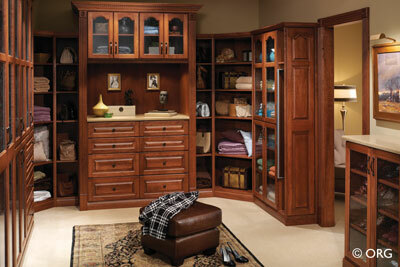 Storage is usually an afterthought in the home design process, says Angela Pekich of Alaska Premier Closets. But planning where you’ll keep your belongings – from clothes to kids’ toys, from groceries to linens – should be its own separate design process, just like planning a custom kitchen or bathroom. After all, your family’s storage needs are unique, so why live with storage that doesn’t address those needs? “When people don’t plan, they move into the space and just adjust to what’s given to them,” explains Louis Suarez, co-owner of Alaska Premier Closets. Designing your home to meet your specific storage needs from day one can enhance your life as much as including a steam shower in your bathroom or a deck behind your house. “It’s about making your life more convenient,” says Pekich, but just as importantly, it’s about cost. While investing in closets that are more than just a rod and a shelf might seem like it’s one more expense in an already expensive project, Suarez says that including storage in your blueprints can actually save you money in the long run. For the price of a nice bottle of wine or dinner out, he says, you can get all the storage you need without having to worry about future remodeling costs. When designing storage, says Loken, “you need to assess what your needs and wants are, and go from there.” But your family’s needs change over time. Luckily, so can your closets and pantries. “When a builder puts in shelves and a rod, it’s all glued, caulked and nailed in, so if you want to change anything, you’re tearing things out,” says Suarez. But he and Pekich design storage systems that can evolve with their clients’ needs, with moving parts that can be raised, lowered and added to over the years. So if you have a 5 year old who likes to pick out her own clothes, Suarez can design a closet that includes lower rods your budding fashionista can reach by herself. When she’s older and taller, those low rods can be moved up or replaced with a unit of convenient drawers. 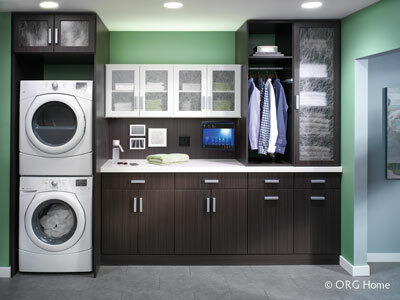 The fluidity of customizable closet units also helps with the eventual re-sale of your home, making today’s investment in smart storage a long-term benefit. “From custom drawers under stairs, to closet systems, to crawl space ideas, there’s a lot you can do,” says Loken, to make storage convenient and efficient. When Pekich and Suarez work with clients in the pre-build stage, they ask questions that are less about what you have and more about how you live. “There’s a lot of science in the design,” explains Pekich, who designs closet and pantry systems based on factors like how tall each person in the family is, whether you travel a great deal and what kind of work you do.